We have been in the catering business for over 15 years, providing the best in food and professional services for any event ‘Big or Small, We Do It All’. 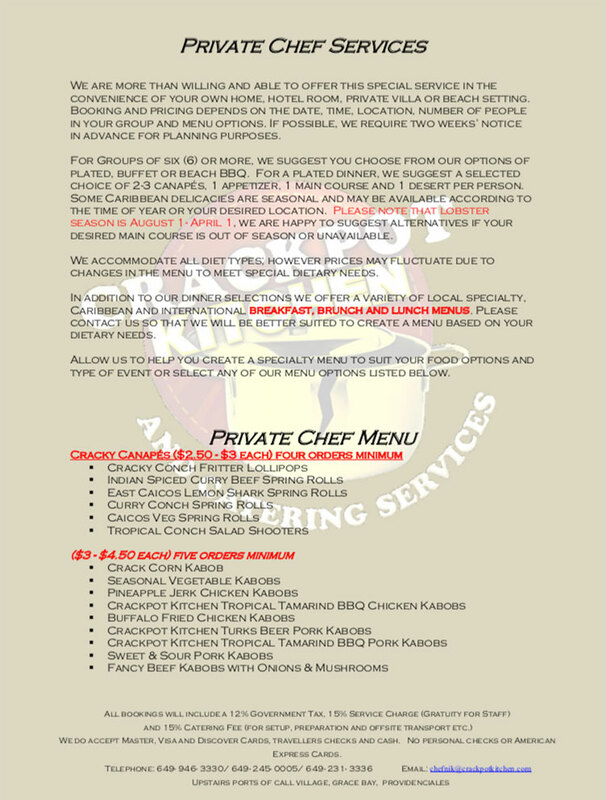 Earning the reputation of providing services for some of the most unique and complex catering request locally and internationally. 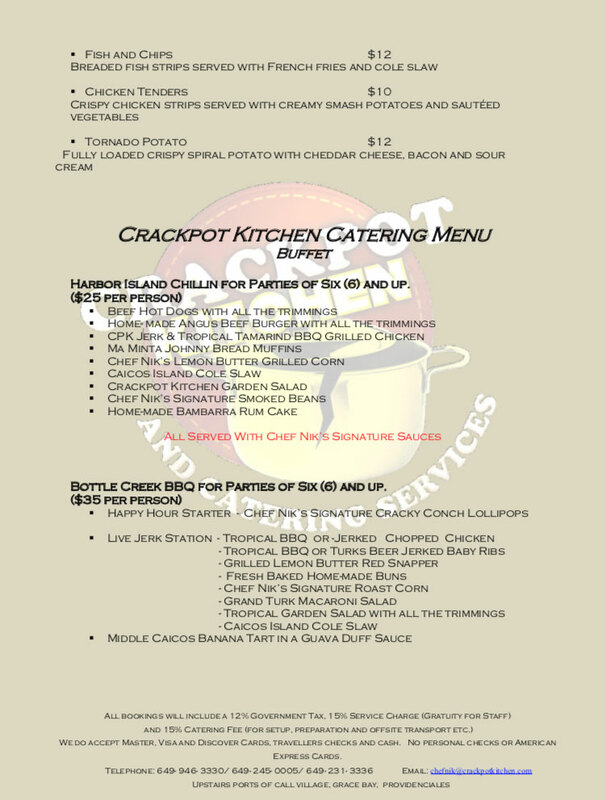 Crackpot Kitchen & Catering Services is your one stop for all of your party needs, renting a wide range of supplies and catering equipment from tents, tables, grills, chairs, chauffer pans, sternos, glass ware, china ware, forks, knives, cookware, table linen etc.